Mergers, partnership deals and acquisitions among major market players have dominated the industry news cycle. 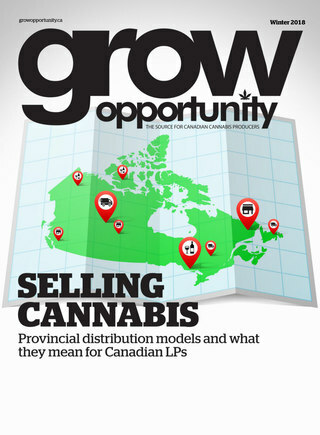 Provinces are striking supply deals with cannabis producers to ensure publicly run retail stores are adequately stocked. Of particular interest as well is the increased activity in cannabis marketing and branding in recent months. Canopy Growth’s Tweed brand, in particular, has been actively engaging various communities through major event sponsorships and participation, such as this year’s Pride Parade. Earlier this year, Indiva unveiled its new brand, delivering a fresh and contemporary look for its packaging and brand new website. AbCann Medicinals is also launching its new medical cannabis brand, Beacon, which also includes a brand new website and consumer education component. It’s refreshing to see that a significant part of many of the cannabis producers’ marketing strategy involve consumer education. With cannabis legalization, Canada is emerging from nearly 100 years of prohibition that sculpted a culture of stigma that’s been deeply etched in society. Breaking down the myths and eliminating the stigma will take more than just signing legislation into law and eliminating barriers to adult use. A recent survey commissioned by Deloitte indicates about two-thirds of current cannabis users will start buying from legal retailersafter Oct. 17th. Another survey by the company in 2016 pegged the number of Canadian adult users of marijuana at 22 per cent. A more recent survey, by consumer research firm Vividata, seems to confirm this number showing 22 per cent of those aged 19 years and older say they currently use cannabis. More than 200,000 Canadians are currently in the medical marijuana market. Although we are yet to achieve an accurate picture of what is to be the recreational market in Canada, and how legalization will shape this landscape, it’s clear from current market data that there is huge potential to grow the current 22 per cent marijuana market. The same Vividata survey found more than 50 per cent of Canadian adults support legalization – roughly 14 million people. Eliminating the stigma around cannabis use and promoting its health and wellness benefits should be a huge focus for any consumer education efforts by the industry. Considering that one in five Canadians experience chronic pain, and 59 per cent of potential cannabis consumers have experienced pain at some point in their lives, the market is clearly there. Getting over people’s preconception and misconceptions about cannabis will be key to tapping this huge potential. Investing in a marketing strategy that includes fact-based public education around the use and benefits of cannabis will be vital. This is happening now, with some cannabis companies employing strategies to “tell the story” of cannabis. More initiatives like this, particularly coming from the industry, should be encouraged. Government education efforts combined with industry-led initiatives around public education will help create a healthy cannabis market.